Tivat, the smallest municipality by area in Montenegro, is more like the Norwegian fjords than the southern Mediterranean with ancient villages on the water's edge shadowed by dramatic mountains behind. With only 14,000 inhabitants, it offers the chance to explore true Montenegro as it starts to open its doors to a curious tourism trade. Edmiston recommends mooring up in Marina Bonići, ideally located between two of Montenegro's spectacular national parks, upa and Kukuljina. 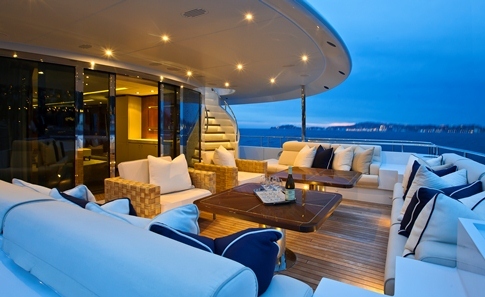 Yacht of choice: 4You has an impressive amount of space than other yachts of her size. No less than five different locations can be set up for dining, two elegantly styled saloons and a sky lounge with a baby grand piano, bar and large screen television. Charter available from €185,000 per week.